When people ask me about my travel bucket list, my answer is simple: I want to travel everywhere in the world. But with so many places to go, there never seems to be enough time. If only it were possible to condense a week of travel into a couple of days! Enter Gabriella Ribeiro, founder of Explorateur Journeys and the 48 Hour Power Jaunt. A Power Jaunt is a specially crafted travel experience designed to give travelers an in-depth visit to a place in just two days. Itineraries cover everything from the point of arrival right up to the time of departure. Ribeiro wants you to “travel, not just take a trip.” She says that to do this “we jam-pack a lot in.” She develops itineraries with lots of little surprises. There is always a food component, with dinner on the first night being a unique experience no matter where you are. Access to a private collection in a local gallery is a common perk for her clients. The idea is to let people see a different side of any given location and really experience the destination. 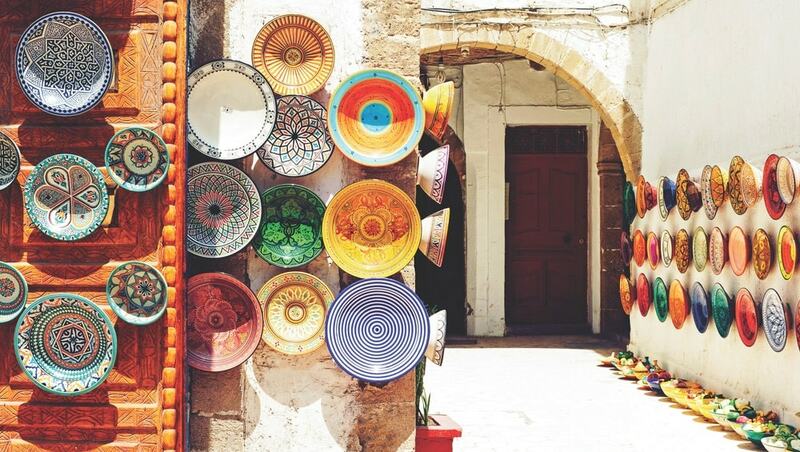 Colorful handcrafted plates line a market stall in Marrakech, Morocco. For example, Ribeiro’s beautifully curated itinerary for Bilbao, Spain, includes a private tour of the Guggenheim Museum Bilbao, an urban art bike tour, lunch at a pintxo bar (lots of wonderful small plates), dinner at a private house or art gallery, and expert recommendations for nightlife. That’s all on the first day! The second day gets you out of the city with a tour of the countryside that features a visit to a D.O. Idiazábal cheese maker and lunch with a winemaker. The evening of the second day is highlighted with a wine dinner back in Bilbao. To make everything work, Explorateur Journeys books hotels in convenient spots (Bilbao’s is close to the Guggenheim) with early check-in and late checkout prearranged. Tour groups are very small or private, making the experience both more efficient and more intimate. With many of the itineraries, including Bilbao, travelers are pampered with a welcome massage. The hotels have luxurious amenities such as spas and fine toiletries, and time to rest and refresh is part of every itinerary. Tour groups are very small or private, making the experience both more efficient and more intimate. 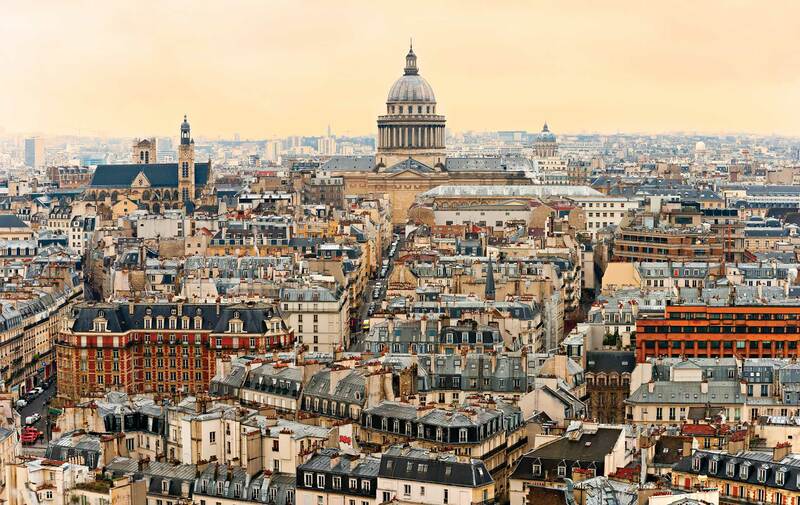 Her 48 Hour Power Jaunt in Paris is based at the edge of Le Marais and includes shopping with a private guide in the many boutiques that line the narrow streets. The second day features a tour of Paris in a sidecar with a knowledgeable guide driving the motorcycle. There is also time for the age-old Parisian tradition of people watching as you enjoy a pastry and café au lait. 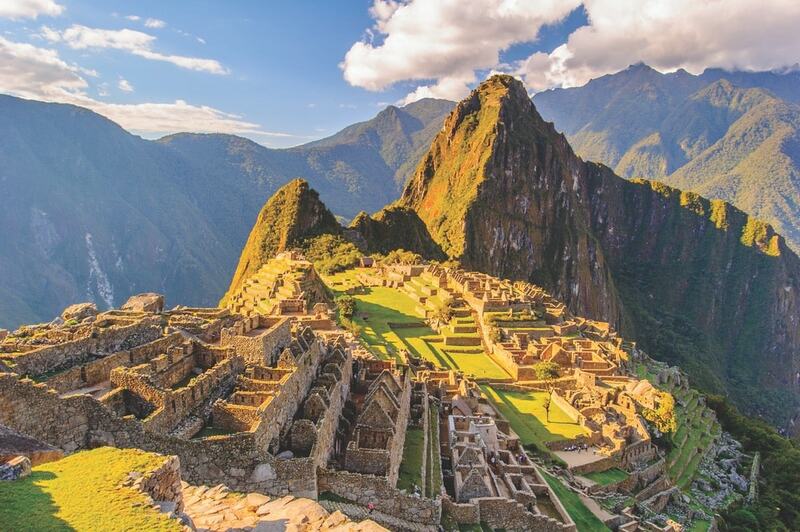 Peru’s Machu Picchu, a UNESCO World Heritage Site, is worth a 48 Hour Power Jaunt! Ribeiro’s Tokyo itinerary is centered on food. Visit the largest fish market in the world and then explore the street-food vendors and small restaurants found off the beaten path with the help of your guide. Dinner the second night is in the Golden Gai, where a bar master will guide you around this area of more than two hundred small bars. The adventure will also include tours of ancient temples and the center of Tokyo’s pop culture. She developed the 48 Hour Power Jaunt and found it fits a variety of travelers. Ribeiro observes many multigenerational families are looking for ways to spend time together. She says people “spend the money on travel and get a huge return on life.” The 48 Hour Power Jaunt is a wonderful format for families. It is easier to fit a two-day adventure into the often-complex family schedule, and the small tours allow the family to explore together without stress. Corporate travelers often add a Power Jaunt to the end of a conference trip. They are already in a location they would like to explore, and they take advantage of that to learn more about the area than is possible while attending conference meetings each day. Solo travelers who are uncomfortable with spending a long time on their own find the Power Jaunt to be the perfect length. One recent traveler needed a few days away to help recuperate from a negative life event and turned to the Power Jaunt—it can be a powerful pick-me-up! The most common locations for Ribeiro’s Power Jaunts are Africa, Asia, Europe, and South America. Her clients can enjoy tea and pastries in Marrakech, take a beer cycle tour in Madrid, or go on a desert safari in Dubai. While in glamorous Buenos Aires, they can visit a private restaurant, go to a speakeasy, take in a polo match, and learn the tango. They can even learn to make ceviche in Peru. Power Jaunts make it possible for those of us with the world on our bucket lists to see more in the time we have available—and to do it as a traveler, not as a tourist. To get a taste of Ribeiro’s travel style, read her book, 48 Hours In…: Lessons Learned from a Lifetime of Global Jaunts. It is her take on travel to some of the nearly one hundred countries she has visited. 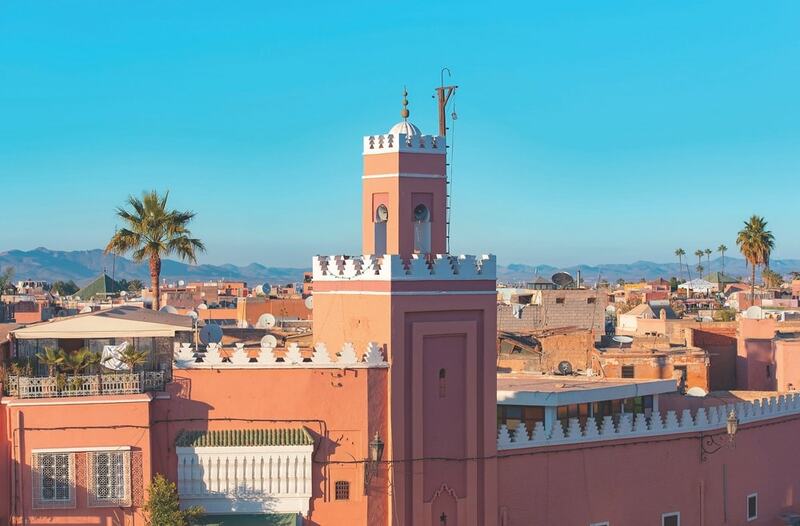 Get a fresh perspective on frequently visited places such as London, Tokyo, Paris, and Lisbon, and read about the more exotic locales of Marrakech, Morocco; Samburu, Kenya; and the Galapagos Islands. The final chapter of the book provides excellent travel advice, particularly for parents traveling with children—including how to climb the Athenian Acropolis with a stroller. Colleen Sachs loves food and traveling around the world, and she has been writing about both for twenty-five years. She lives with her spouse and a multitude of pets in Santa Rosa Beach and Pensacola, Florida.